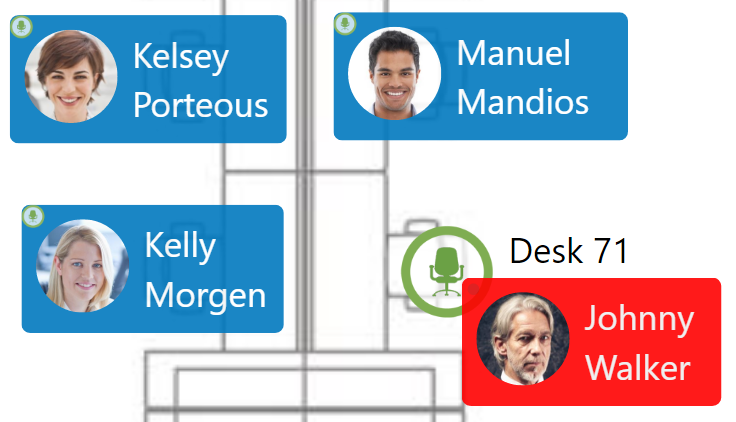 While in Edit Mode, an administrator can assign employees to a desk on the floorplan permanently. This means that the employee will not have to book the desk again and other users will not be able to book the assigned desk anymore. Make sure there are available, unassigned desks on the floorplan, then drag an 'Employee' panel onto the open desk. Select the 'Save' button in the top toolbar when you are finished in Edit Mode. Note - Desks can also be assigned by selecting a desk on the Employee Detail form.